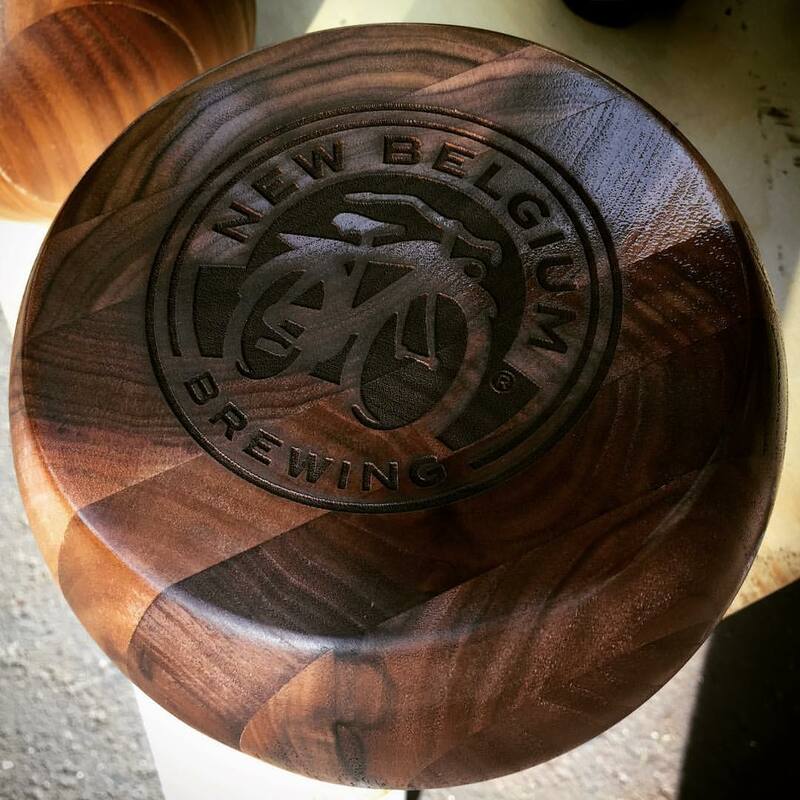 We built these walnut “bolles” for New Belgium Brewing. They are made for a bowling-like game with a special curved lane. We laser etched the logo into the surface.